The town of Waterville Valley, New Hampshire is totally surrounded by the White Mountain National Forest, and virtually all of our trails lie within the Forest. 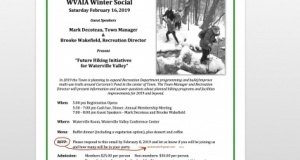 WVAIA maintains a close collaborative relationship with the administrators, trail crews, and naturalists of the White Mountain National Forest. Find out more about how you can obtain a required Forest parking permit. The official town government site. 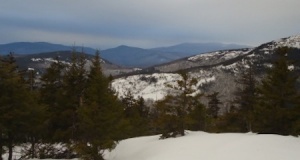 This site gives information about downhill and cross country skiing, special events, lodging, food, and shipping in Waterville Valley. This site gives information about lodging, dining, shopping and recreational opportunities in the general area. Located in Town Square in Waterville Valley. The store also offers a good selection of books about the history, natural history of the area and New England, and outdoor activities. Located in Town Square in Waterville Valley. Sells our maps as well as a wide selection of food and wine. Located on the Kancamagus Highway (Route 112) in Lincoln, NH. A wide selection of maps, including ours, and books about the outdoors.